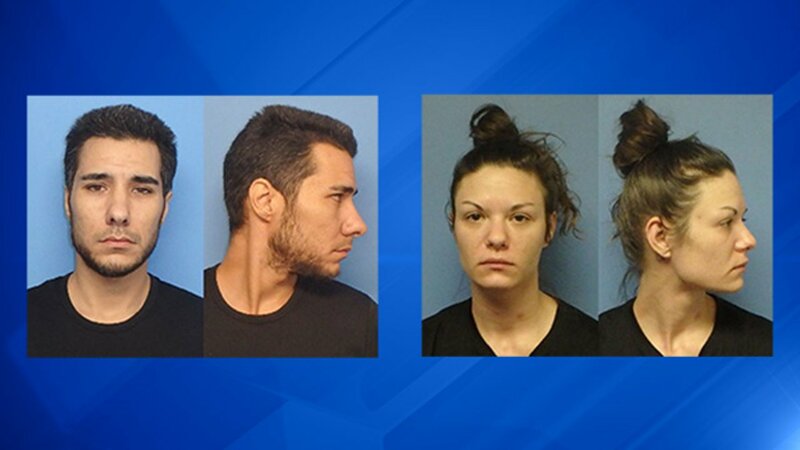 WAUKEGAN -- Two homeless people were charged Wednesday with robbing elderly women on two occasions at a grocery in north suburban Waukegan. On January 1, officers responded to calls of a robbery at a Jewel store at 3124 N. Lewis Ave., Waukegan police said. A woman in her late 70s told officers someone stole her purse and slammed her against her car as she was loading groceries. She suffered minor injuries, but was not taken to a hospital. Officers responded to the same store April 30 for another robbery, police said. A woman in her 80s told officers she had her purse stolen after being forcefully knocked to the ground while shopping inside. The woman was treated at a hospital after suffering a head injury and laceration to her face. She remains in the intensive care unit. Joseph Ribaudo, 37; and Jaclyn Marquardt, 28, were taken into custody Wednesday in the 3000 block of Belvedere Road in Park City, and charged with both robberies, police said. Both are charged with burglary, two counts of aggravated battery and two counts of robbery, police said. Marquardt was also charged with unlawful possession of a controlled substance and being a fugitive from justice. They are being held at Cook County Jail and will appear again May 22, police said. Ribaudo is being held on $300,000, while Marquardt is being held without bond. Source: Sun-Times Media Wire - Copyright Chicago Sun-Times 2017.